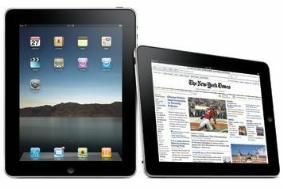 Apple's iBookstore for the iPad could include 30,000 free books | What Hi-Fi? The latest sees the 'appadvice' website carrying screen grabs from Apple's iBookstore purporting to show free books courtesy of the Project Gutenberg ready for download. This would mean some 30,000 books potentially available for free – a price that doesn't normally hold much sway with the powers that be at Apple. That said, there's already an app available for the iPhone and iPod Touch that allows similar access to this free book resource, called Stanza. Books are set to sell on the iBookstore for $9.99 in the US, which in the UK means, well, probably £9.99. We shall see.